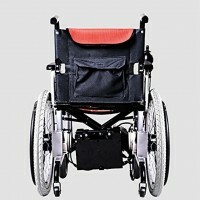 The lightweight wheelchair either can either be a hand pushed wheelchair or a electric wheelchair. 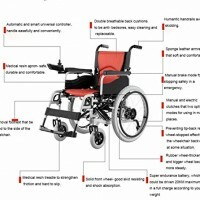 It has two types of brake system: manual and eletric. 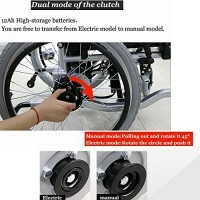 Please kind note that you can only use the wheelchair in manual mode when running out of power. Good performance and luxurious appearance. Operate easily. 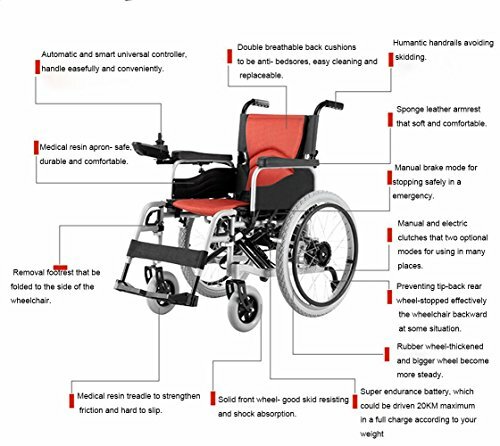 Intelligent control, programmable joystick. Be assembled with luxurious seats, portable and durable. 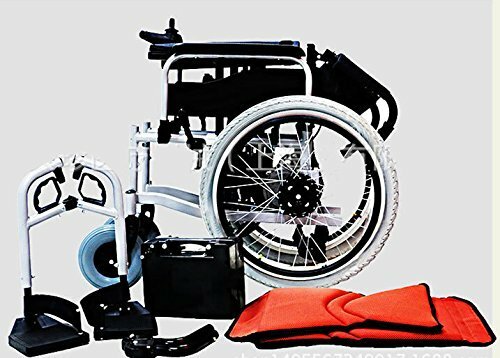 Foldable and more safety, carry easily. 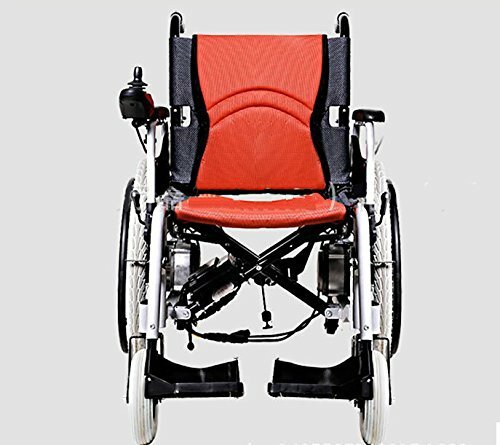 Made of aluminum frame, paint coated detachable armrest and leg rest, flip-up backrest, with anti-back castor. 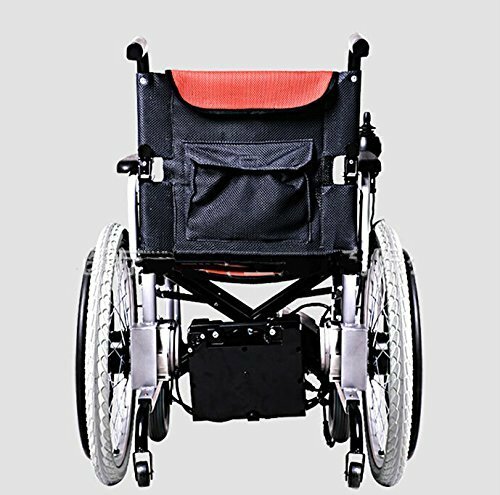 Constructions The electric wheelchair consists of rear-driven wheels, front castors, frame, seat and back cushions, batteries, charger, controller and braking system. Specifications Size parameter: Overall length≤1100mm, overall widths≤660mm, overall height≤920mm. Main technical parameter: 1. Maximum speed≤6.0km/h 2. Driving range: 15-20km 3. Brakes: electronic 4. Minimum turning radius: 0.76m 5. Motor: DC24V 250W*2 6. Charge time: 6 hours 7. Speed(backward)≤3.0km 8. Max Climbing steep: 8 degree 9. Braking distance≤0.5m 10. 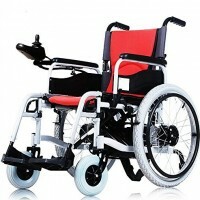 Weight Capacity: 100KG 11. Battery: 24V 12AH*2 12. Temperature(Fahrenheit): -13 to 122 degree The charger is with charging indicator and works normally under 110V-230V.